If you are the kind of car owner who has tendency to give your car some regular tender loving care, more than likely you follow up a bi-weekly wash and wax of the exterior with a good thorough vacuuming. Trying to use a shop vac or regular upright vacuum for this task is extremely awkward and difficult, and while the vacuums at car washes are very powerful, they are still limited in in their reach and manoeuvrability. 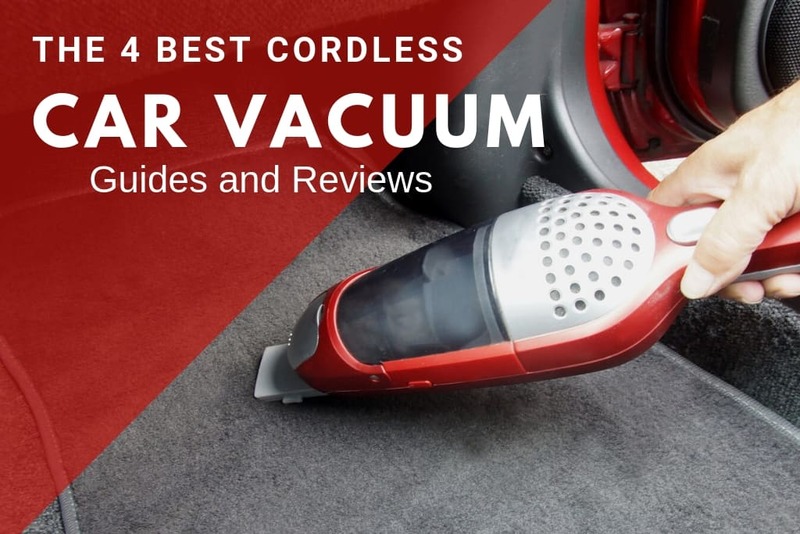 Fortunately there is a better way, and with a little research and patience, you can find the best cordless car vacuum that makes those bi-weekly cleanings much easier. Here are some tips on what to look for when you are shopping for a cordless car vacuum. There is a lot to like about Black & Decker’s CHV1410L. 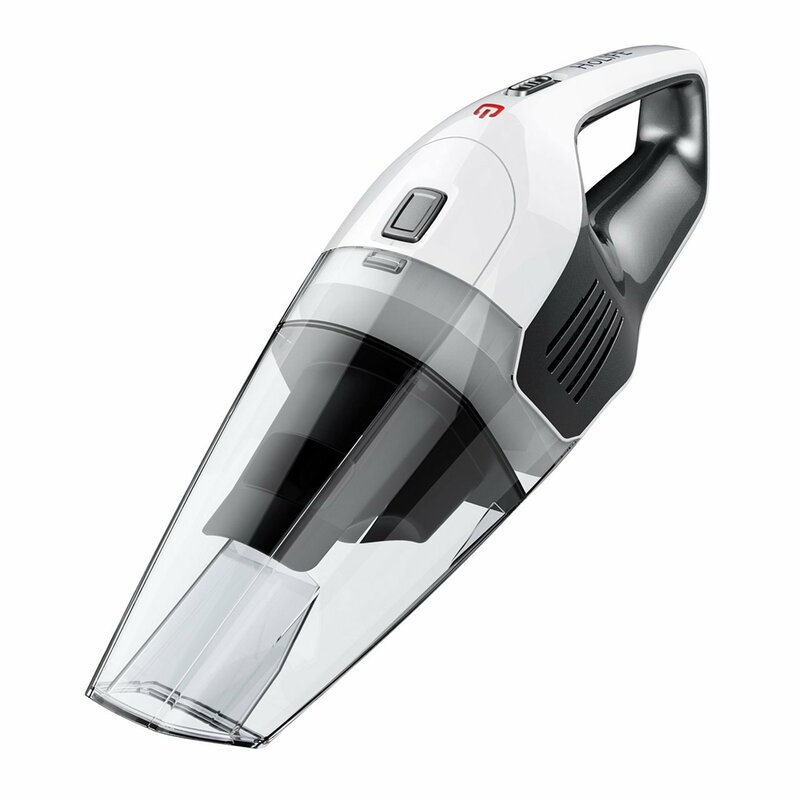 For example, this handheld vacuum is always ready to use thanks to its 18 month-charge lithium-ion battery pack. Additionally it benefits from SmartCharge Technology, which uses up to 50% less energy when recharging. In terms of cleaning power, the CH1419L uses cyclonic action for additional suction power without clogging filters. With a bagless design that is easy to empty into the trash. With a dirt bowl on this vacuum can also be washed out with warm water before reinstalling it in the machine. The included filter is also washable and reusable, which cuts down on both expense and waste generated long term. Overall though, the best feature that makes it a standout for cleaning your car is the rotating slim nozzle. This lets you get into even the tightest of spaces between seat cushions and underneath the dashboard. Cleaning nozzle is convenient in tight spaces, but makes cleaning wider areas more difficult. In terms of features, this cordless vacuum provides many options for efficiently and quickly cleaning hard to reach areas in your car and around your home. In addition to including multiple high quality cleaning tools, this handheld vacuum is both powerful and portable thanks to its long-lasting 22V Li-Ion battery pack. Not only does this vacuum provide 14 minutes of fade-free suction, but it also has a motorised beater brush roll for cleaning the broader areas of your car’s seats and carpeting. The ergonomic grip makes this one easy to handle vacuum, and thanks to its lightweight design it won’t wear on your wrist or shoulder during long cleaning sessions. The best feature of all though is definitely the built in extension hose, which is an absolute godsend when it comes to cleaning between seats and in tight spaces with a crevice tool. With plenty of power and a wide array of tools, this is definitely one of the best overall cordless car vacuum on the market. Compact and quick to recharge, this little car vacuum is always ready to keep your car neat and tidy, even where it is hardest to reach. There are numerous attachments in the box that make this handheld vacuum versatile. Which is enough to handle cleaning in just about any tight space, and the battery can provide up to 30 full minutes of cyclonic action suction thanks to its long-lasting Li-Ion battery pack. 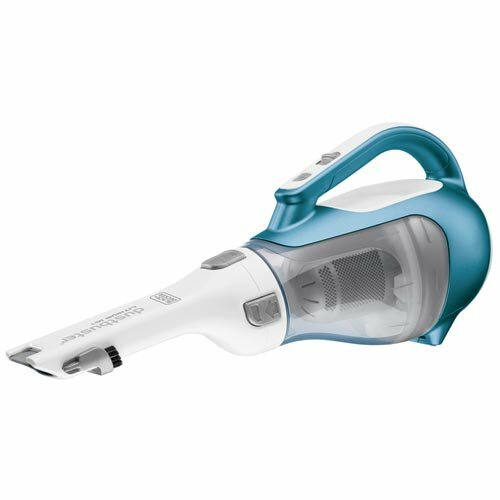 Furthermore, this model is also capable of vacuuming both wet and dry messes in your car or around the house, making it useful in any situation or for any cleanup scenario. Emptying the dirt compartment takes seconds, and all attachments and filters are washable with warm water. The best feature of this handheld vacuum is its extremely light weight: it tips the scales at just 3.27 lbs. Again, this makes it easy on your hands, arm, and shoulders during long cleaning sessions. Compact, powerful, and extremely easy to use, the Holife Handheld Cordless Vacuum is a standout performer in the cordless car vacuum market. A real handheld powerhouse, the Black & Decker BDH2000L has a 20V Li-Ion battery and uses cyclonic action to pick up even the most stubborn dirt and debris from the tightest of spaces. Thanks to its more powerful battery pack, the motor provides a great deal more suction than most other handheld cordless vacuums while still maintaining excellent battery life. The built-in crevice tool and brush are attached to a swivelling nozzle that makes cleaning those hard to reach areas of the car a breeze. 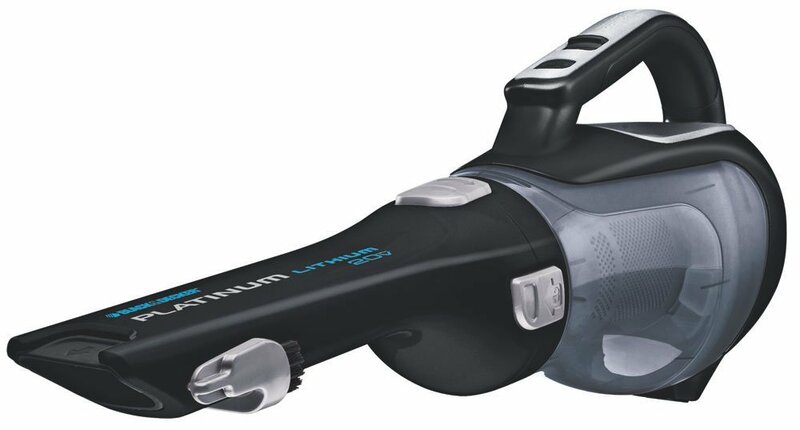 Additionally, thanks to the broader brush head this vacuum makes cleaning your seats as quick and easy as working in the tighter spaces with a crevice tool. The best feature of all though has to be the power of this cordless car vacuum. It not only cleans deeply, but it also requires fewer passes thanks to its powerful motor and continuous suction. Any vacuum that makes chores easier and take up less time is definitely a vacuum worth looking into. All in all, when you shop for a cordless car vacuum, you want something powerful, portable, easy-to-handle, and that has the staying power to get the job done every time. That’s why we recommend the Black + Decker BDH2000L 20-Volt Max Lithium Ion Battery Cordless Hand Vacuum as the best value out of all the products reviewed for this guide. The BDH200L lasts longer, has more power, and cleans better than just about any other cordless car vacuum available, and it also boasts a lower cost-to-own than many of its competitors as well. A washable dirt bowl and washable reusable filters also make this an ideal cordless car vacuum for generating less waste and trash than models that need a bag or that need frequent filter replacements. Next time you are in the market for a cordless car vacuum, get a Black + Decker BDH2000L, and make those after car wash cleaning sessions fast and easy. Many people are uncertain as to where to get started with buying a cordless car vacuum. No need to worry though, as there are 5 characteristics that set most cordless vacuums apart from one another, making your buying decision far easier. Once you know what features you need and what capabilities you are looking for, picking the right one is quite easy. Here are the 5 comparable characteristics for cordless car vacuums. Your vacuum works because it can generate suction thanks to its built in motor. The more powerful the motor, the stronger the suction it can generate, and the more efficiently it can pick up dust, dirt, and debris trapped in carpet and upholstery. You want to be sure you have a cordless car vacuum that has enough suction power to clean the interior carpeting and upholstery in your car, otherwise cleaning is going to take significantly longer. Regardless of the size or internal layout of your vehicle. Your cordless car vacuum has to be easy to move around and light enough not to be cumbersome. If you can’t handle and manoeuvre your vacuum adequately while you are cleaning, your cordless car vacuum isn’t going to do you much good. Look for compact, lightweight models with swivel features that make them easier to manage in enclosed spaces. It is unlikely you would need to wear hearing protection when using a cordless car vacuum. However, if the model you are looking at is exceptionally noisy that may make the unit its own worst enemy. If noisy isn’t a problem for you, then pick whichever vacuum you want, but do keep in mind that you will be regularly using that noisy appliance in an enclosed space. If you can, test potential models out in your vehicle before making a purchase. You may discover that your ideal cordless car vacuum just won’t work for cleaning your car. For small shop vac see our full reviews here.